2018 Block of the Month Class project revealed! We are so excited about this year’s Block of the Month quilt designed by our amazing teachers Betty Nowak and LoriAnne Melton. FOR ALL LEVELS - This class can be as basic as the block techniques but if you are beyond basic, it can be taken to the next level. Whether you are beginner or an advanced quilter we will meet you where you are. 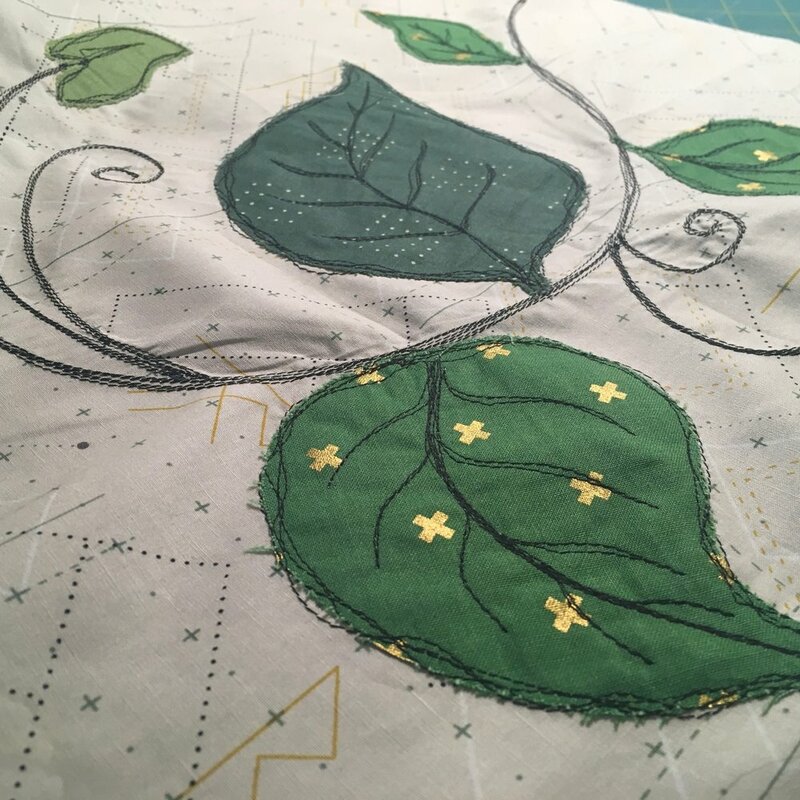 Over the course of the year we will teach color theory, value, texture, design, fabric selection, curved piecing, appliqué, thread sketching, hexies, foundation paper piecing, log cabin, improv design, star variations, flying geese, Dresden plate and herringbone design. Our goal is to ensure you learn the techniques and enjoy the process! Sign up for class online here. Class cost $280 or 2 payments of $150 (Jan and June). Student may choose any fabrics they would like to use. Fabrics are not included in the class fee.